After 10 great years, my family had to put down our dog, Zeus. 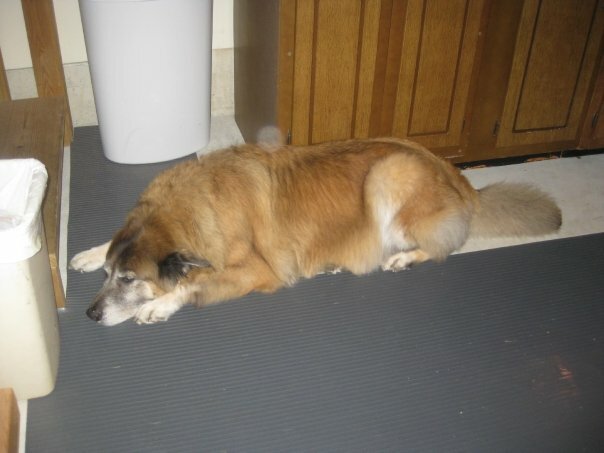 He was a Newfoundland/German shepherd mix, so he was basically a BIG, fluffy teddy bear. I have so many wonderful memories of Zeus and I am so thankful we did not have to see him suffer. I am sad for Marley (Mike & I's doggy) though, because whenever we would be getting ready to travel to Delaware, we would ask Marley "Do you wanna go see Zeuser?" and he would get all obnoxious, running and jumping about excitedly, anticipating the car ride and eventually getting to Delaware and running around the backyard with Zeus. It was the cutest. We got Marley a few years ago and he lived with Zeus for the first few months. Zeus showed marley the ropes of dogworld, how to obey your master, how to ask to go outside by waiting at the door patiently, and how to ask for treats by the treat jar :) I hope that Marley is not too upset that Zeus is missing, the next time we visit Delaware. 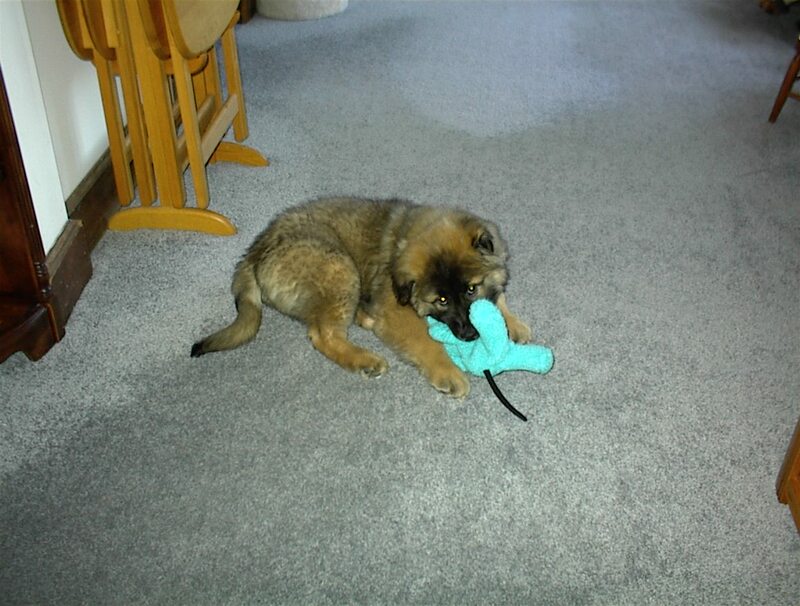 Another super cute thing Zeus used to do was open Christmas presents, even if they weren't his! He would rip off little pieces of wrapping paper and gently take out whatever was inside. Zeus started doing this one Christmas, all by himself, so the fact that we didn't train him to do this was awesome. He just watched us and learned what was done on Christmas morning. He would try to help us all open our gifts. It was adorable. So this blog is dedicated to Zeus, the best dog for our family and for my sister & I growing up.